This is the fifth large verdict against Johnson & Johnson for its baby powder product. When most people think of baby powder, they likely think of its sweet smell, or using it on their own children when they diapered them. They likely don’t think of cancer — or of asbestos. Yet in a string of high-profile cases, juries have found that baby powder made by personal care manufacturing giant Johnson & Johnson does cause cancer — and have awarded tens of millions of dollars to people who have developed cancer from exposure to these products. The most recent case arises out of New Jersey, where a man, Stephen Lanzo III, developed mesothelioma (a type of cancer of the tissue that lines that lungs, stomach, heart, and other organs) after applying Johnson & Johnson baby powder to his skin for more than thirty years. Mr. Lanzo and his wife, Kendra, sued Johnson & Johnson for damages, along with Imerys Talc America, the supplier of the talc used in the powder. A jury awarded the Lanzos $30 million dollars in compensatory damages for their losses, plus an additional $7 million dollars to Mrs. Lanzo. The jury further awarded the Lanzos $80 million dollars in punitive damages. In contrast to compensatory damages, which are meant to compensate plaintiffs for the losses that they have suffered, punitive damages are designed to stop wrongdoers from committing further harm. According to a Beverly Hills personal injury attorney, as their name suggests, punitive damages are meant to punish a defendant in a personal injury case whose behavior was especially harmful. Of the $117 million total verdict, Johnson & Johnson will be responsible for 70%, while Imerys will be responsible for 30%. The product did not have proper instructions or failed to warn consumers about its dangers. As a Beverly Hills personal injury attorney can explain, to win a products liability lawsuit, a plaintiff must prove that a defective product caused injury based on one of the these three theories. 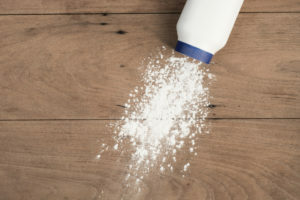 The Lanzos alleged that the baby powder was defective because it contained asbestos and Johnson & Johnson failed to warn consumers that it contained asbestos. The company’s attorneys argued that the baby powder never contained asbestos, and that the Lanzos used faulty tests to prove that it did. Lawsuits against baby powder manufacturers have typically alleged that the talc contained in the powder caused ovarian cancer. These cases claim that Johnson & Johnson knew that women were used baby powder for feminine care, and even encouraged (via advertising) women to do so, despite knowing that talc had links to cancer. Plaintiffs who have been injured by baby powder have won five verdicts, including the Lanzos; two of these verdicts have been overturned on appeal. The Lanzos lawsuit is the first to claim that baby powder caused cancer due to asbestos. Baby powder and talc products are just two products that may cause injury to Americans, leading to cancer and potentially other diseases. If you have been harmed by a product, you may be eligible for compensation. A Beverly Hills personal injury attorney may be able to help. The lawyers of Perlmutter & Pourshalimi are skilled at helping clients who have been hurt by the negligence of others. Contact our firm today at 310-295-2236 or contact@pandpfirm.com to schedule a free initial consultation or to learn more about how we can help. We never charge a fee unless we recover money for you.